Dromida Vista 251mm UAV - The Dynamically Durable Drone! 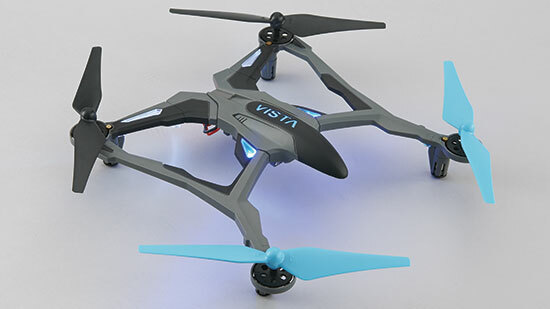 Home » New Release » Dromida Vista 251mm UAV – The Dynamically Durable Drone! Having a big brother is always a good thing. Being that we mercilessly bashed the Dromida Ominus and were duly impressed by its durability and in-flight performance, we were excited to see Dromida announce that they are releasing a slightly larger version of it called the Vista. Bigger is always better in our book! Coming in at a wheelbase of 251mm, the Vista UAV is touted as being just as tough as its smaller sibling and just as easy to fly. 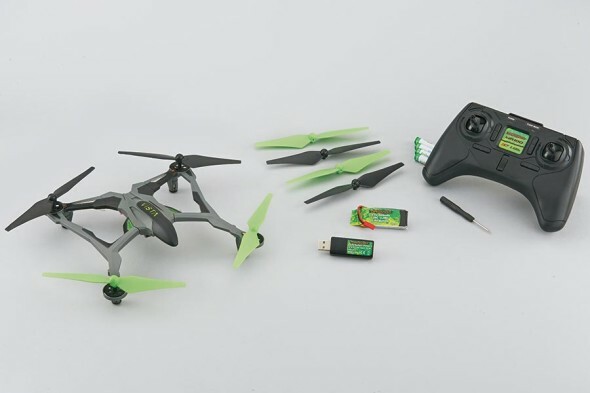 Everything required for flight is included in this Ready-to-Fly product, including a SLT compatible radio system and an extra set of blades. Available in four different colors, the Vista includes orientation enhancing LED lights and a three axis gyro stabilization system. The Vista will also eventually be available in an FPV (first person). • Intense LED lights – For easier tracking, day or night. • Easy, normal, advanced and expert flight modes – Customize flights to your experience level. • Advanced stabilization – Three-axis gyro and three accelerometers. • Long flight times – Spend more time in the air instead of charging. • Auto-flip button – For instant, pro-level flips. Click through to Dromida for the rest of the info on this soon to be released quadcopter.